It involved the will of a woman who died in 1973, leaving her estate in trust for her son for his lifetime and then to his children if he had any. If he did not, the estate was to be left to her close friend or, if her friend died before she did, to her friend’s daughter. In the event, her friend died in 1998 and her son died childless in 2014. The executors of the will were faced with a problem of interpretation. The woman’s friend had not predeceased her. They considered that the assets therefore reverted to her estate to be distributed according to the intestacy rules. Her friend’s daughter challenged that view. She argued that the correct interpretation was that on the son’s death, the assets passed back to her mother’s beneficiaries. 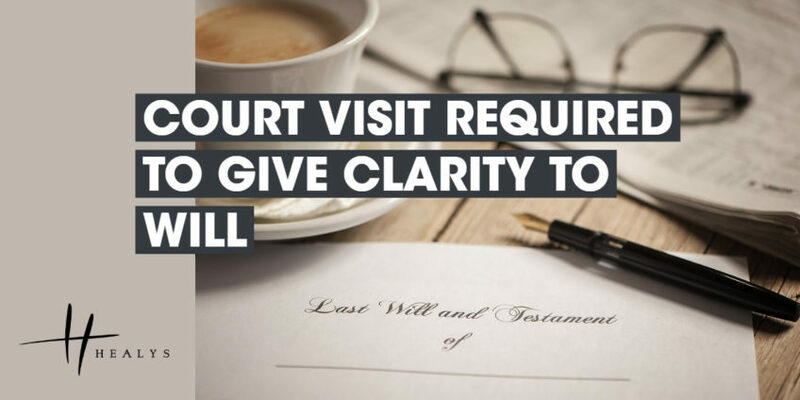 The Court considered that the proper construction of the will was that the woman must have intended that her wish as regards her friend’s daughter should still have effect in the event that her friend died before her son but he subsequently died childless. In order to make sure that your estate passes to the beneficiaries of your choice, it is important to ensure your will is properly drafted by a solicitor. It is not widely known that will-writing is not a regulated activity, and failing to take high-quality professional advice can be a crucial mistake.